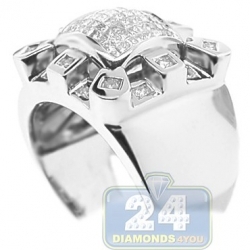 Give your hand an air of originality with our modern ring! 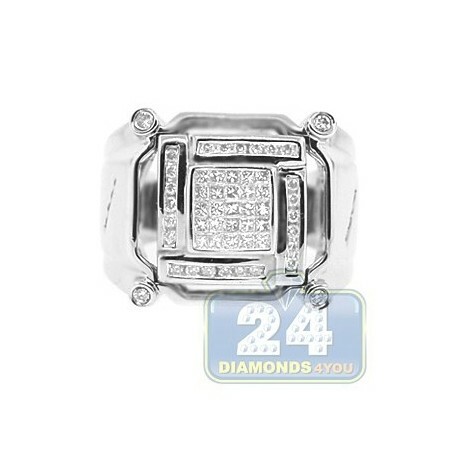 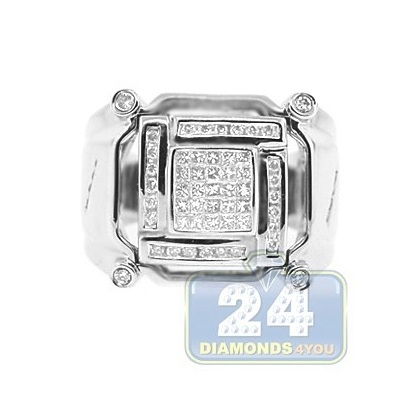 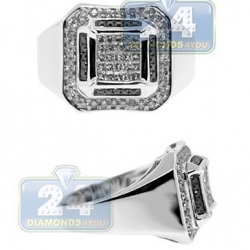 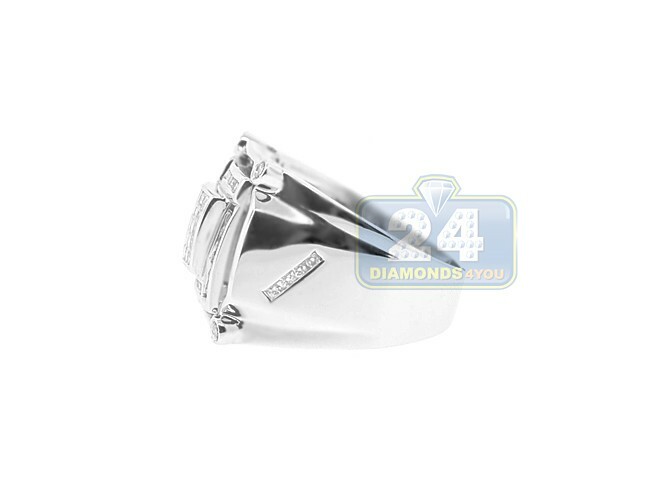 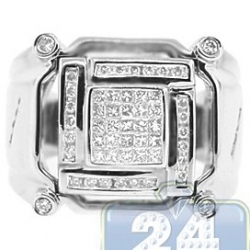 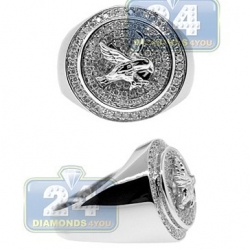 This handsome jewelry piece is artfully designed in 14k white gold with highly polished finish and features a square of icy white princess cut diamonds (0.34 carat) in the center as well as four rows of gorgeous round shaped brilliants (0.33 carat) around it. 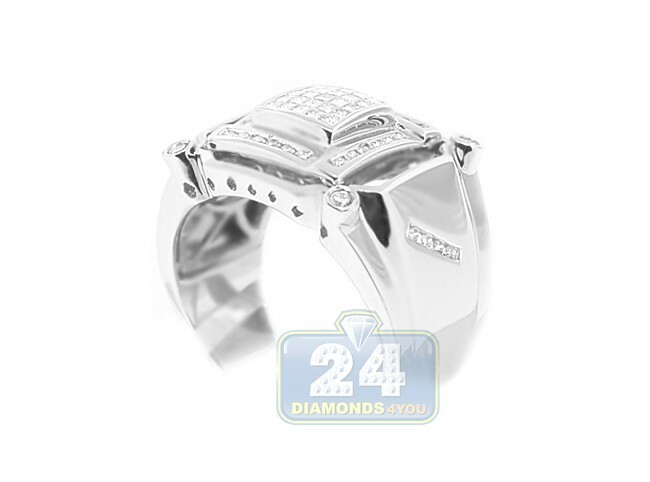 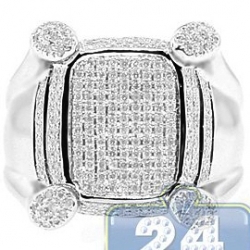 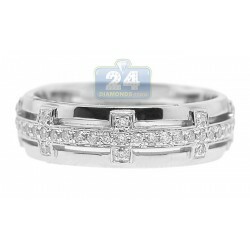 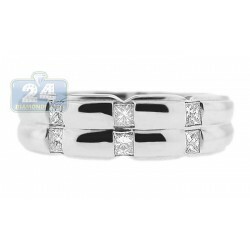 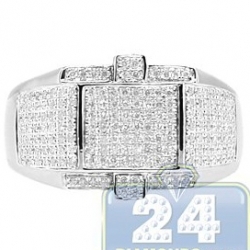 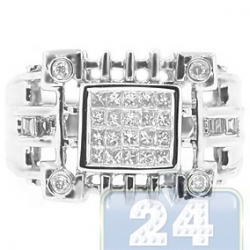 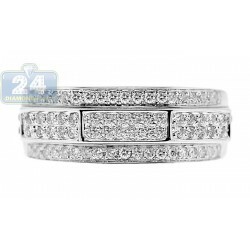 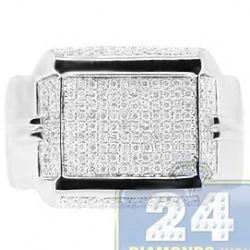 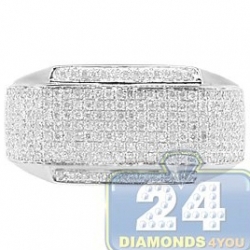 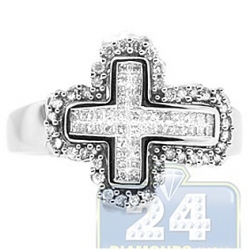 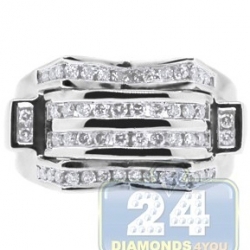 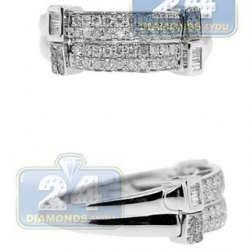 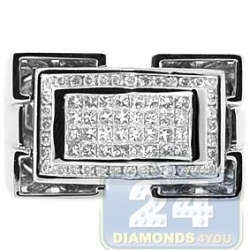 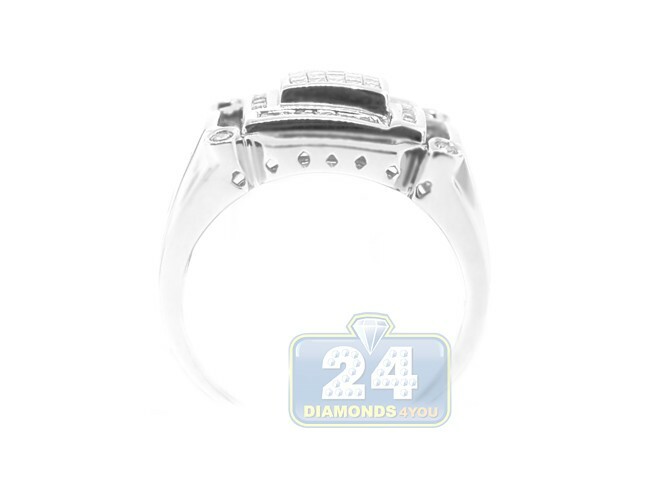 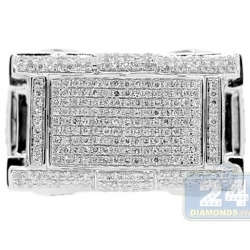 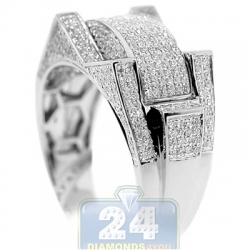 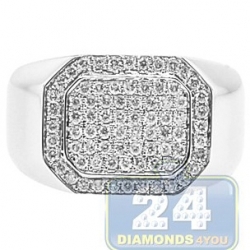 The durable setting is masterly accented with rows of give round cut diamonds on each side of the band.